San Sebastian is a historical place and offers many great places to visit, discover, and enjoy. San Sebastian in Spain is a place full of beautiful sceneries for travelers and visitors. It offers broad variety of options one desires. The place is like a paradise full of adorable beaches, fun packed entertainment facilities, and cultural activities. It abounds in popular dishes, music and film festivals, sports, and wonderful people, too. San Sebastian also offers an opportunity to experience richness in customs and traditions. Festivals like Semana Grande, Carnival, Caldereros Festival, and San Sebastian Day are the most awaited events by many tourists and spectators. The San Sebastian Day is celebrated every 20th of January. During this festival, the mayor raises the flag of San Sebastian at midnight at the Konstituzioa plaza as a tradition. The beating of drums fills the city for 24 hours. Marching folks dress like soldiers and cooks. They do the marching for the whole night. San Sebastian is considered as the summer capital of Spain, too. 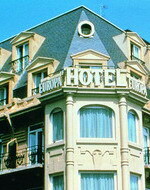 It is perfectly located on the Bay of Biscay. The whole area is bordered by beautiful mountains and green pasture that catch the eyes of many visitors. The fascinating resort offers its visitors the most exciting and relaxing experience of a lifetime. A lot of prominent personalities mostly bureaucrats, drive to San Sebastian in June and September to escape from the heat of summer. 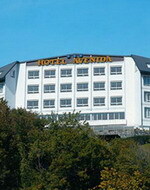 This place is a haven for local and foreign visitors who want to have a break from the grueling hectic life, as well. 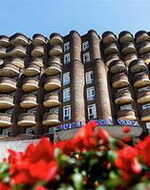 It is a combination of cosmopolitan style and traditional ambience. 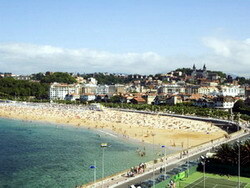 San Sebastian also boasts three of its most beautiful beaches, the Ondaretta, Playa de Gros, and Playa de la Concha. Playa de la Concha is one of the renowned beaches. It presents a very wide space that can cater to a large tourist population. 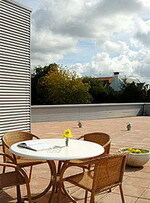 Vacationers gather around and get pleasure from summertime swimming and sun bathing. The beach is surrounded with abundant countryside background. When night falls, white lights the whole area of Playa de la Concha including the path going to the statue of Jesus that stands sky-scraping the city. The beach delivers a captivating experience during night time because of the shimmering water. At day time, visitors can explore water sports such as canoeing, sail boating, and kayaking. A beautiful boulevard offers tourists the chance to have a short walk after a delicious meal. Ondarreta or little beach is another of the great spots in San Sebastian. It is just the perfect place to watch sailboats cruising along the sea water. A small park overlooking the beach is great for strolling and enjoying the cool breeze. Moreover, San Sebastian's beaches are matched with the best coffee shops, clubs, and restaurants. You can also have a taste of their most famous tapas in these beaches. Several historical tourist spots worthy of exploration include Museo de San Telemo, Gothic Church of San Vicente, and Baroque Church of Santa Maria. These places grant foreigners especially the students, an opportunity to have a taste of the history and traditions of Spain. 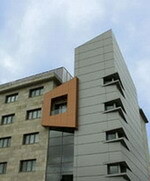 San Sebastian also boasts of the attraction of Miramar Palace, also well known as the Royal Country House of Miramar. The palace sits near Pico Del Loro that marks the intersection of La Concha Beach and Ondarreta Beach. It also serves as the boundary between the districts of El Antiguo and Miraconcha. The palace symbolizes the early origins of San Sebastian. The Miramar palace compound includes a park, gardens, and buildings. It is a typical summer attraction, as well. The Constitution Square is at the center of the city. The Square is one of the most popular ancient structures because it was used for bullfighting as early as the Middle Ages. Evidence is shown by the numbers engraved on the balconies. According to historians, the numbered rooms have been used by many spectators as a viewing area for the event. The more adventurous visitors can climb Mount Urgull and Mount Igueldo. Here in these mountains people can catch sight of an overlooking view of the entire town. These are one of the enthralling places to savor the fresh air, relax, and reminisce. San Sebastian is indeed a lovely sanctuary to either spend the vacation with your whole family or to stay at for business leisure. This is also a promising location that can give you the fantastic experience you will surely cherish for a long time. About the Author - For more information on San Sebastian Travel Guide please visit our website.